A switching transformer is typically used in electronic power applications to convert a DC input voltage to a different DC output voltage. The amount of power delivered to the load can be controlled by varying the switching frequency and duty cycle of the transformer. There are a variety of circuit topologies that use switching transformers. Buck, boost and flyback are three popular topologies that are actually inductors or coupled inductors rather than transformers. Other topologies for which CET develops custom switching transformers include push/pull, half bridge resonant, and full bridge resonant. 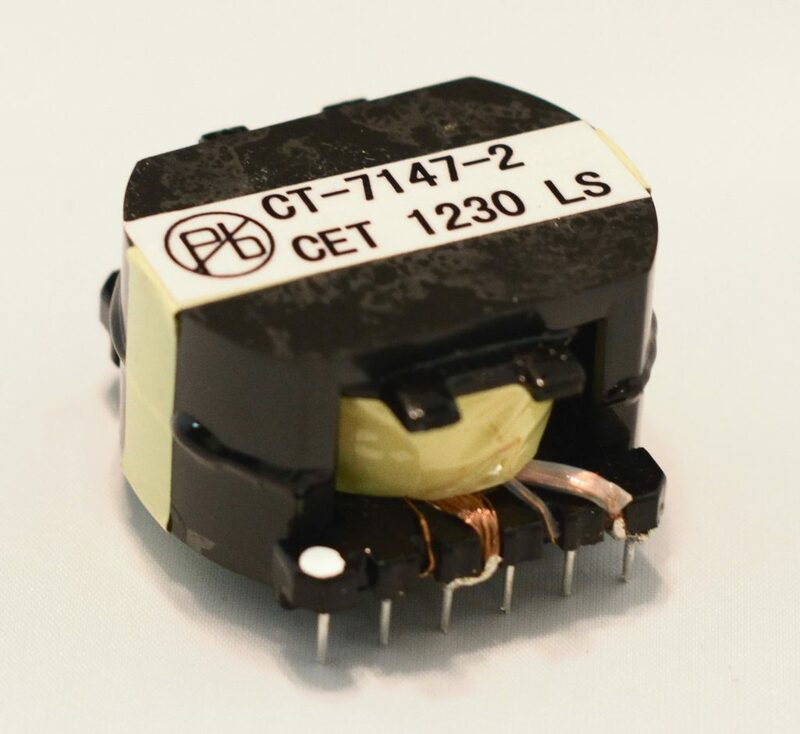 All CET switching transformers are designed and built to custom specifications. We work with the design engineer to provide a solution tailored to his/her particular application. Call or complete an RFQ to start the design of your custom switching transformer.